Kids can bowl free this summer at many bowling alleys across Massachusetts and the U.S.! 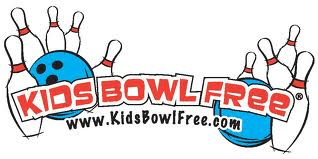 Registered children can bowl two free games each day for a value of $500 over the summer period. This program does not include the cost of shoe rentals. There are also some program terms, but you can read them and find more info here. Over 20 bowling alleys in Massachusetts are participating too! Sounds like a perfect activity for a rainy summer day!